Unmarried by choice is a rare phenomenon in rural India. But Anita Ayra is exactly that. At 34 years of age, she is happily unmarried and provides for her mother and three sisters. She earns her income as training supervisor at Women on Wings’ partner KGU. 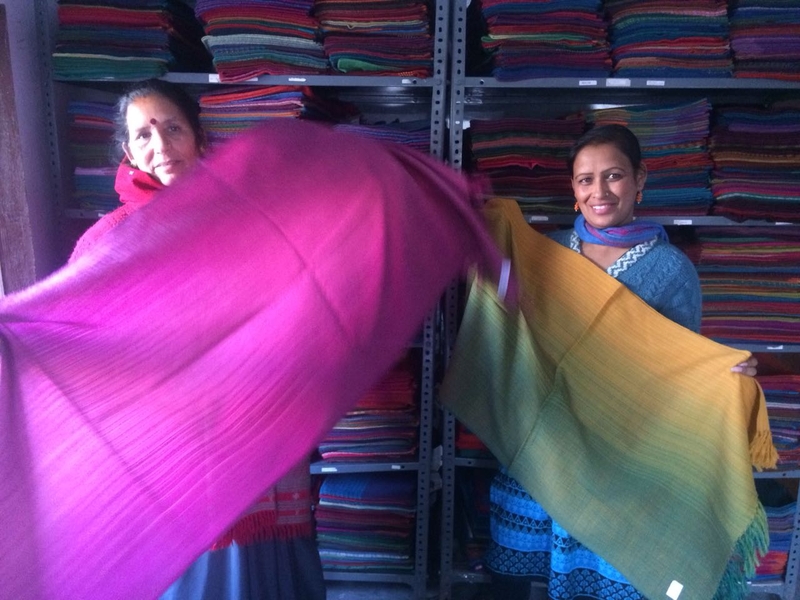 A Women on Wings team met Anita (picture right) and her colleague Kamla Bisht (54 years of age, left) while working with the KGU team in the Kumaun hills region and learned all about their lives. Anita had no dreams of becoming a trainer when she was a child. She went to school till class 12 and started working as a knitter for KGU at the age of 21. Three years ago she became trainer supervisor. Today Anita wants to excel in all that she does and is extremely happy with her independency. But Anita’s life did not come easy. Her father passed away at an early age and her mother faced a tough time raising three young daughters by herself. Thanks to her job at KGU, Anita is able to provide for her family. She gained self-confidence and the courage to face the world alone, without a husband. She encourages other women to earn and attain a certain degree of independence. Kamla had a very different life from Anita’s. She got married at the young age of 14 and went to school till class 5. She remembers crying a lot after marriage as she was not prepared for the responsibilities of married life. All she wanted was study further. Fortunately, her husband and in-laws approved of her going back to school which she finished till class 8. She started working at KGU 25 years ago and her dream was to use her income to educate her daughter. Who did her Post Graduate and now works, earning a good income. The money Kamla earns is controlled by her. Earlier her in-laws were upset she worked, but they have witnessed the power of an income as Kamla was able to save her son’s life by paying for a kidney treatment he needed. This and the fact that she got her daughter educated, gave Kamla great strength. She feels empowered and believes she can do anything. For KGU’s weavers and knitters, round-the-year income enables them to think of better futures for their children and themselves. The income gives the women greater control over their lives. It is compulsory for them to open bank accounts, which in a way has made them financially literate and more responsible of their income and savings.